On Wednesday April 10, 2019, Ronald T. Bland, 60, a much loved husband, father, grandfather and friend passed away at North Mississippi Medical Center in Tupelo, MS following a brief illness. Services honoring the life of Mr. Bland will be Saturday, April 13 at 11AM in the Memory Chapel of New Albany Funeral and Cremation Care with Bro. Forrest Sheffield officiating. Personal reflections will be shared by Bro. B. J. Self. Burial will follow at Lebanon Cemetery in Prentiss County . A resident of North Mississippi for much of his life, Mr. Bland was born in July 2, 1958 in Orlando, Florida. Being part of a military family , he traveled the world and received his education in military schools across the United States. He was married April 17, 1981 to his sweet wife, Mary Dixon Bland, who survives. Together they raised four wonderful children in the Gore Springs community near Grenada and in later years made their home in the Union and Prentiss County areas. A Christian, Mr. Bland proudly served his country in the Mississppi National Guard and was employed as an Inspector with MB Technical Service of Jackson, MS. Affectionately known as a "jack of all trades", Mr. Bland loved his grandchildren and one of his favorite things to do was to chase them around the living room. 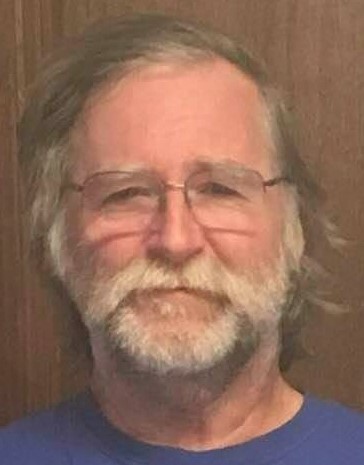 He will be remembered as an avid outdoorsman that enjoyed woodworking, fishing and deer hunting. A visitation will continue today from 9 AM until 11 AM at New Albany Funeral and Cremation Care located at the intersection of Hwy 30 and West Bankhead Street, New Albany. To cherish his memories along with his wife he leaves two daughters, Ronni "Morgan" Wray (Timothy) of Pontotoc, Melissa Hale ( Dewayne) of Baldwyn, two sons, Matthew Bland and Myles Bland of Baldwyn, his grandchildren, Allan and Adalyn Hale, three step grandchildren and three step great grandchildren. The American Flag at the New Albany Funeral & Cremation Care entrance honors Mr. Bland and all Veterans for their service to our country...GOD BLESS AMERICA.